Russ Bassett Corporation designs and manufactures a broad selection of technical furniture, console and media storage products. Our technical furniture and console solutions combine technology integration with workspace ergonomics. Products range from technology friendly commercial workstations to 24/7 command and control consoles. Often serving mission critical environments, applications include military “war room” command centers, utility control rooms, public safety dispatch and network operations centers. The media storage products are designed specifically to house data tape, professional A/V formats, microfilm and hard copy documents. 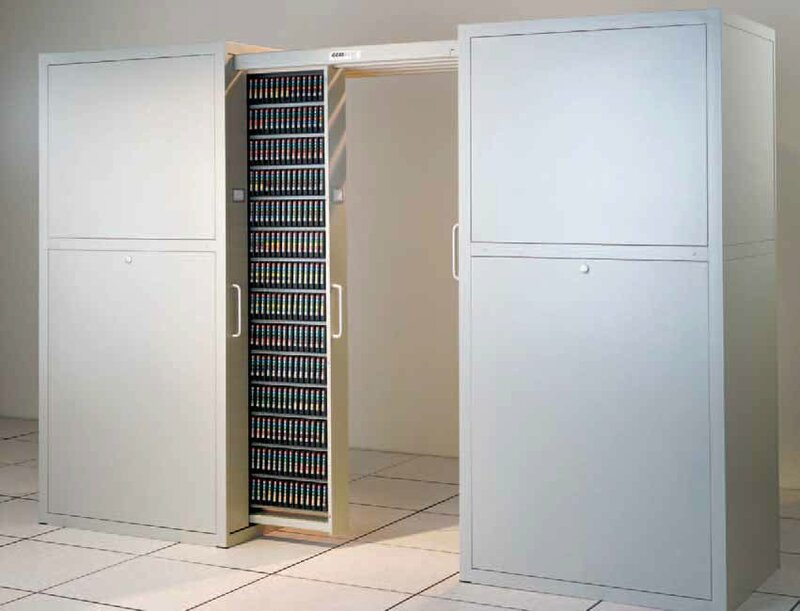 Products range from small desktop cabinets to multi story storage structures serving fortune 500 companies, financial institutions, government depositories, libraries, archives and large media vaults.